Jam Cook Serves Up Just The Perfect Dish. What’s for dinner? This question is common enough in households across America and all over the world. You may be used to take out, or you may be an avid food savant with a propensity toward all things baked, broiled, grilled, chopped and generally delicious. 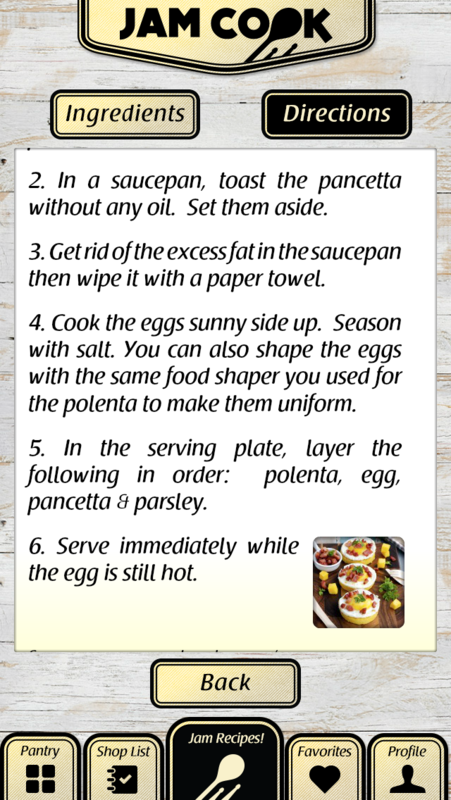 Regardless, you may get baffled over what to prepare for a meal from time to time, and be looking for a new recipe. Jam Cook, from developer Jam Cook, is a stellar recipe app that is creative, fun, and does an amazing job of solving the problem of what to make for dinner. This app customizes recipes to fit your needs, divides your list between “I Have” and “I Need” for shopping purposes, and comes teeming with countless ingredients to get your mouth watering. When you open up the app, you’ll see four primary categories; “Student”, “Single” “Couple” and “Family”. 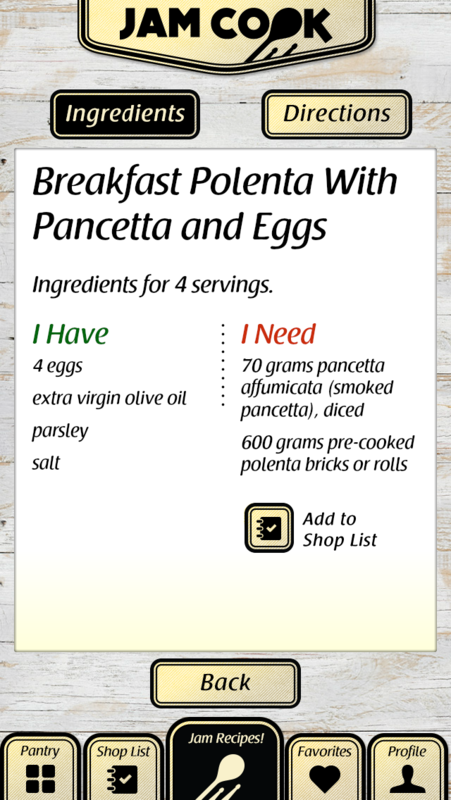 Choose the criteria that fits your needs, and you’ll see corresponding recipes launch on the screen. You can choose whatever looks good to you, add items to your shopping list, peruse through new recipes and save the best ones to your favorites. 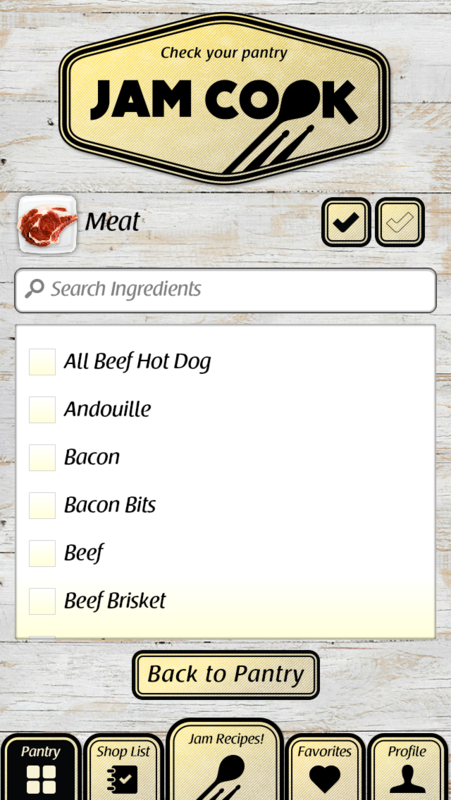 The app itself comes packed with so many recipes that we were truly impressed. From the classic to the obscure, there’s something for everyone in this app. Jam Cook is truly remarkable. It’s got a clean and appetizing interface, and comes loaded with enough bells and whistles to keep you glued in, without being overwhelming. That’s a delicate balance to achieve, and we’ve got to hand it to Jam Cook for doing a nice job with this. 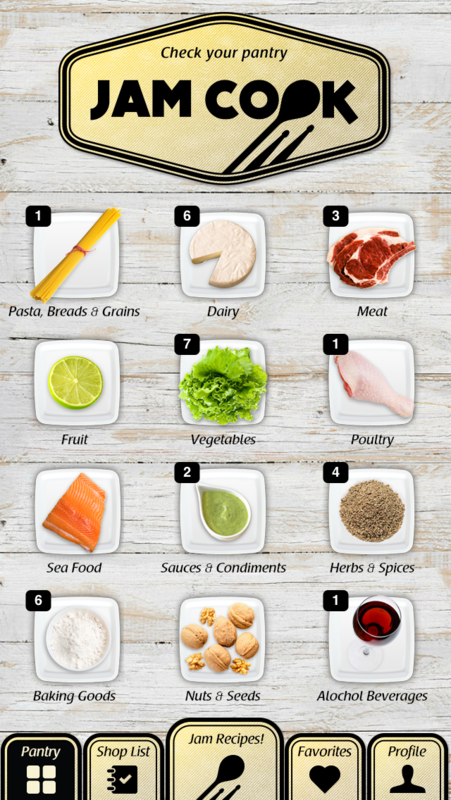 If you’re allergic or don’t like certain foods, you can just uncheck them from your food list, and start to see recipes which avoid these ingredients. Again, picky eaters and gluttons alike are going to find exactly what they are looking for with this app. 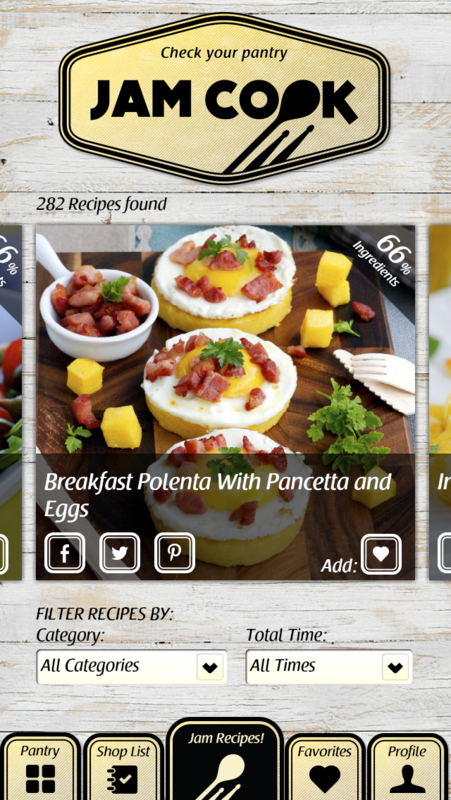 Most recipes within the app are completely free. The app is built with hungry users in mind, tantalizes you with savory images and descriptions, and is built like a true winner. The premium version of the app is $2.99 and will set you back less than the cost of your average sandwich. Download this app and wonder what’s for dinner no more. Honey Dijon Roasted Brussel Sprouts anyone?